A large percentage of people will admit to not having any type of savings account. Maybe there’s just not enough at month’s end to give to a “rainy day” fund. Perhaps the money in put into a savings account gets used just as fast as it gets saved. Either way, taking out an emergency credit card can help to avoid depleting your savings account while providing security. Knowing there is a way to deal with a financial emergency can give you peace of mind. While having cash for unforseen expenses is always the best line of defense, it seems that so many times as soon as we manage to put something aside, something else comes up and we need that money. Having a credit card for the sake of an emergency is a great way to insure you won’t be left on the side of the road with a car breakdown or pulling your own tooth because you can’t afford to see a dentist (let’s hope you wouldn’t do that!). While there has been a credit card debt epidemic over the past several years, if you are responsible and can practice some self-control, you can have peace of mind should you need to come up with some quick cash. The first step is to find the right credit card. Meaning, look for one with a low-interest rate. This way you won’t pay out the roof when it comes time to repay what you borrowed. It’s also best to find a card with no annual fee but that is getting harder and harder to do these days. Look for the one with the lowest fees. Also, be aware of other charges that come along with a credit card. Over-the-limit and late fees can really rack up your balance. Make sure you find out what kind of grace period the creditor offers. Second, make sure you use the card correctly. In other words, don’t take out a cash advance to pay a merchant if you don’t have to. You will pay higher interest on a cash advance and may be charged a flat fee to borrow this way. Pay for your emergency costs by charging them directly on the card. Make sure the limit on the card is enough to handle an emergency. Some experts recommend two-thousand dollars. If you aren’t sure how much self-control you will have when it comes to purchasing with plastic, take out a secured credit card instead. Your limit will be the amount you deposit with the issuer when you take it out the card. Thirst, and lastly, keep your emergency credit card in good standing by making your payments on time each month. While the idea is to tuck it away for emergencies, your creditor may close your account for non-usage. 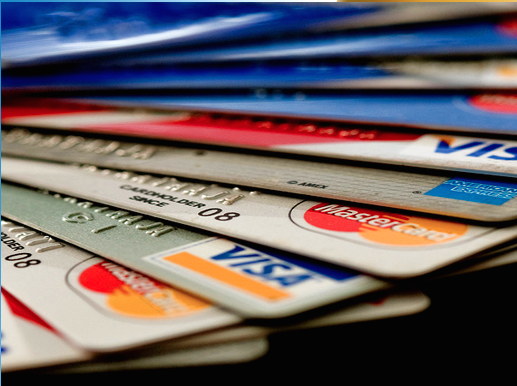 Use the card for a small purchase once a month to keep it current and in good standing. This will benefit your credit score as well. Don’t carry the card in your wallet if you’re going to be tempted to use it. If you are going to use it, make sure it is for a true emergency. Let your creditor know that a large purchase will be made. Doing so will help to avoid concerns since the card isn’t used very often. Remember, don’t charge more than you can pay off within three months, creating a snowball of emergency debt.